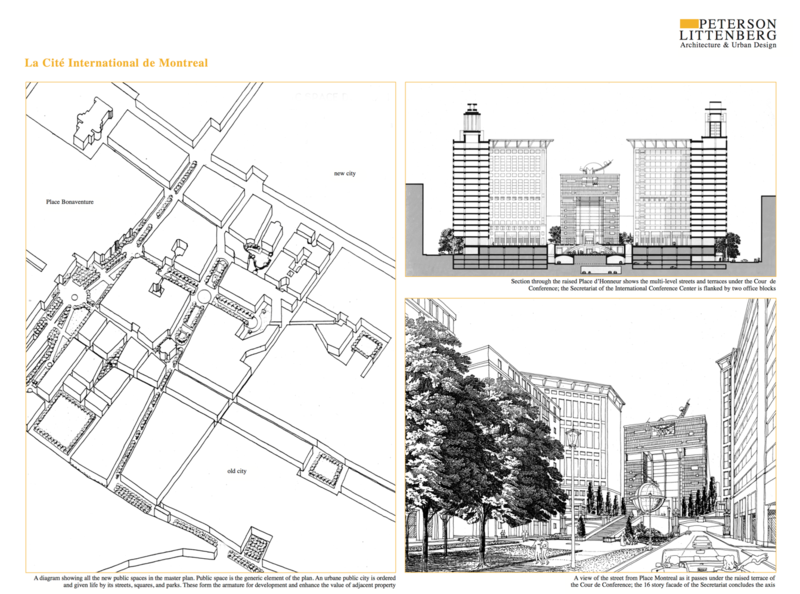 The district covered in the plan lies in the empty space between the old and new sections of Montreal. The design itself is intended to reconnect these two city textures through a new network of public spaces, streets, and blocks. The new area was programmed by the city to be an international quarter, the “Cité Internationale”. A meeting hall and conference center for 2,000 people is located at the end of the main space and is to be used by international agencies such as the Red Cross and United Nations sub-agencies. The plan evolved from our winning submission in an international competition. 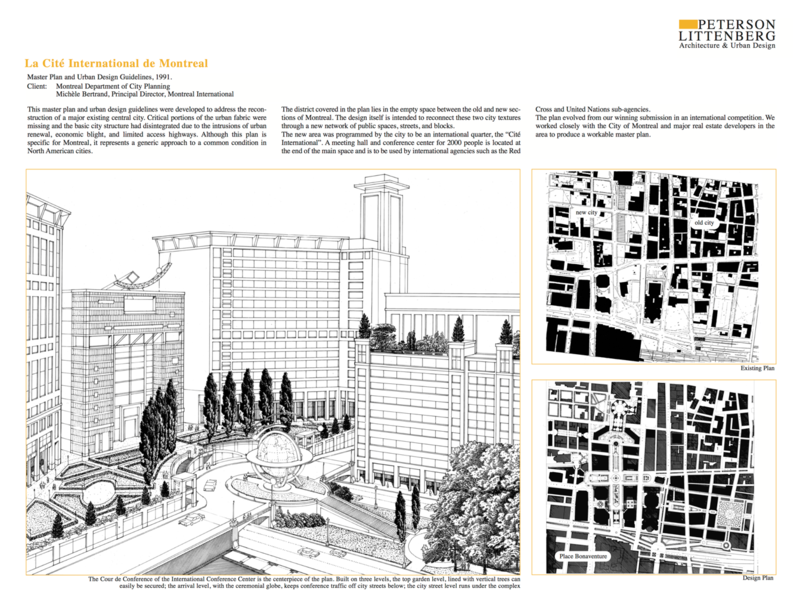 We worked closely with the City of Montreal and major real estate developers in the area to produce a workable master plan. This master plan and urban design guidelines were developed to address the reconstruction of a major existing central city. Critical portions of the urban fabric were missing and the basic city structure had disintegrated due to the intrusions of urban renewal, economic blight, and limited access highways. 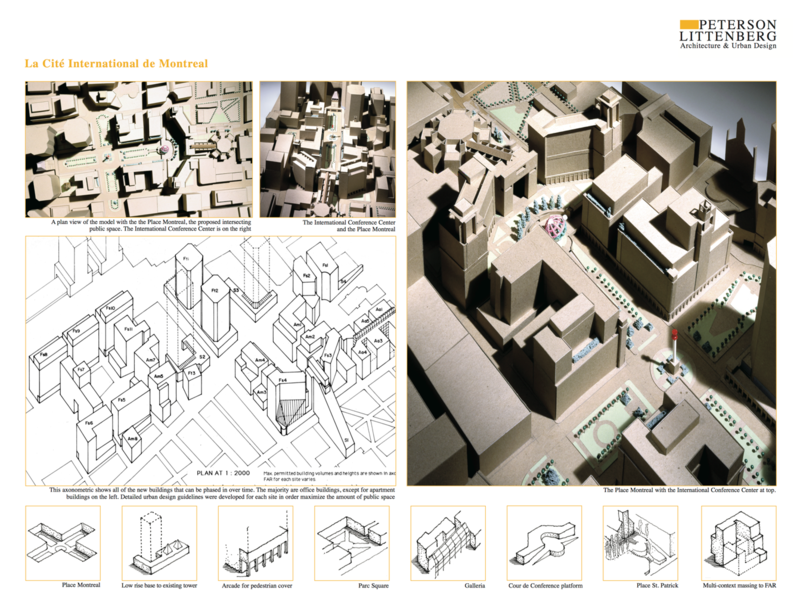 Although this plan is specific for Montreal, it represents a generic approach to a common condition in North American cities.